Russian women are somehow on the list of the most beautiful women on the world. Russian women known for its fair and healthy skin, shining hair, beautiful face feature and proportional body shape. Russian women are also known as women with minimal wrinkles, especially the youth. They may look like born with their beauty and doesn’t need extra care to maintain their body. First thing the Russian women do in maintaining their skin is using herbs in the treatment and also the food. Herbs are easy commodities that come to Russia, and also cheap. Russian use herbs to treat a number of the health problems and the doctors frequently prescribed it. You can dab a thin cloth in an herb decoction to your skin, this can help your skin, even your skin oily or dry. These herbs are also contained in the natural and organic cosmetics made in Russia. So, it can state that Russian can be separated from the herbs. It also common thing to use herb in mixture to maintain the hair beauty, by use it in a hair mask mixture. Other beauty tip of Russian women is to get the steam routine. Russian steam or spa is called Banya. It is similar to sauna room. Russian women do the steam in Banya at least once every two weeks to sweats out the toxic on them. Normally, after doing the banya, the therapists will exfoliate your dead skin with some herbs and organics mixture. After doing all the procedures, your skin will feel extremely tender and soft. For Russian women, Banya is most favorable skin care in Russia for woman. Are you interested to try banya? Mask is the most important steps in maintaining your face skin. There actually many brand that produce a face mask in many variations. But for Russian women, the best local cosmetics brand from Russia isn’t enough. They believe, that use a natural ingredients to make a homemade and natural face mask will giving them maximal advantages for their skin. One of the most popular natural face mask that used by Russian women is strawberry mask. You don’t need extra tools for doing this procedure. Just pick some strawberry from the garden or your refrigerator, then bite the tip off, then rub the rest around your face. Do it anytime you have time or while you are relaxing. It will give you a skin and shining face, also it can prevent wrinkles on your face. Next most favourable skin care in Russia for woman is instilled their eating and drinking sea buckthorn Berries. According to some studies, sea buckthorn berries are proven to reduce the sign of aging such as wrinkle. Some Russian not only consume this sea buckthorn berries but also use many beauty products that contains sea buckthorn berries. So, consuming the berries and use it in the skin care routine will prevent the wrinkle of your face. Supplements take a big parts of the Russian skin care Routine. It is because in the supplement, there are contains of vitamin C and other skin food like omega 3. To consume the supplement routine, they get the benefit for their beauty. Alcohol is also become the most favorite treatment for the Russian women. Some of the Russian women use alcohol for some treatment like face mask, or bath in a mixture of wine and other herbs. They say that bathing in wine will help the toxic to sweat out from their body and make their body stay young. Other things the Russian do is use the wine for hair mask, based on them, treat their hair with wine will make their hair extremely beautiful and shining. Also, they do an alcohol fast, they drink alcohol a certain straight day to intoxicated their body. Do you interested in this tips related to the alcohol? As we know, that vitamin C is the most important thing for your skin treatment. For Russia, Vitamin C is not only to be consumed. Some of them used a high contain of vitamin C in their beauty products. Some of them also mix the vitamin C powder with their cream, because they think that the vitamin C containing in the product is not really working for them. They believe that Vitamin C only can work if we use it as a serum. But there also natural and organic cosmetics made in Russia that contains high of Vitamin C.
The last and most favorable skin care in Russia for woman is fasting. Many Russian women do a routine of fasting in a certain day. Just like Natalya Vadianova, an actress from Russia that mentioned as the most beautiful women on the world. She said that the key point of having a healthy skin is the healthy body. In a chance, she said that she is a fasting advocate. She do the fasting not for the religion purposes but she believe that fasting can lead you in to a healthy body. 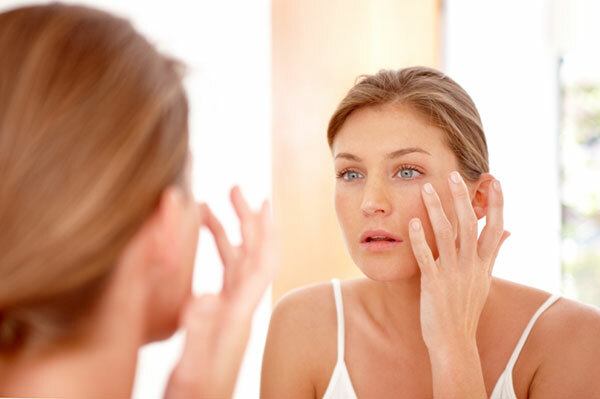 She also state that, keep your make up minimal will help your skin to stay healthy and young. It is not important what kind of skin care products or brand you use. You just need to maintain your health to be beautiful. Those are 8 Beauty tips of Russian women to prevent wrinkles at young age. Are you interesting to try one of them?